The VIRTIO_F_NOTIFICATION_DATAfeature is an optimization mainly for hardware implementations of VIRTIO. The driver writes extra information as part of the Available Buffer Notification. Thanks to the information included in the notification, the device does not need to fetch this information from memory anymore. This is useful for PCI hardware implementations where minimizing DMA operations improves performance significantly. Huge Pages Support: KVM guests can now utilize 1MB pages. As this removes one layer of address translation for the guest backing, less page-faults need to be processed, and less translation lookaside buffer (TLB) entries are needed to hold translations. This, as well as the TLB improvements in z14, will improve KVM guest performance. Alternatively, append the following statement to the kernel parameter line in case support is compiled into the kernel: kvm.hpage=1 hugepages=N. Note that means to add hugepages dynamically after boot exist, but with effects like memory fragmentation, it is preferable to define huge pages as early as possible. If successful, the file /proc/sys/vm/nr_hugepages should show N huge pages. See here for further documentation. The use of huge pages in the host is orthogonal to the use of huge pages in the guest. Both will improve the performance independently by reducing the number of page faults and the number of page table walks after a TLB miss. The biggest performance improvement can be achieved by using huge pages in both, host and guest, e.g. with libhugetlbfs, as this will also make use of the larger 1M TLB entries in the hardware. vfio-ap: The Adjunct Processor (AP) facility is an IBM Z cryptographic facility comprised of three AP instructions and up to 256 cryptographic adapter cards. Each adapter card is partitioned into up to 85 domains, each of which provides cryptographic services. An AP queue is the means by which AP messages are sent to and received from an AP adapter. Each AP queue is connected to a particular domain within a particular adapter. vfio-ap enables assignment of a subset of AP adapters and domains to one or more guests such that each guest has exclusive access to a discrete set of AP queues. Once complete, use the passthrough device in a KVM guest just like a regular crypto adapter. Requires Linux kernel 4.20 and libvirt 4.9. QEMU is now entering softfreeze for the 4.0 release (expected in April), so here is the usual summary of s390x changes in that release. A cpu model for the z14 GA 2 has been added. Currently, no new features have been added. The cpu model for z14 now does, however, include the multiple epoch and PTFF enhancement features per default. The 'qemu' cpu model now includes the zPCI feature per default. No more prerequisites are needed for pci support (see below). QEMU for s390x is now always built with pci support. If we want to provide backwards compatibility, we cannot simply disable pci (we need the s390 pci host bus); it is easier to simply make pci mandatory. Note that disabling pci was never supported by the normal build system anyway. zPCI devices have gained support for instruction counters (on a Linux guest, these are exposed through /sys/kernel/debug/pci/<function>/statistics). Hot(un)plug of the vfio-ap matrix device is now supported. Adding a vfio-ap matrix device no longer inhibits usage of a memory ballooner: Memory usage by vfio-ap does not clash with the concept of a memory balloon. The first part of support for z13 vector instructions has been added (vector support instructions). Expect support for the remaining vector instructions in the next release; it should support enough of the instructions introduced with z13 to be able to run a distribution built for that cpu. libvirt v4.10, available for download at the libvirt project website, adds support for PCI passthrough devices on IBM Z (requires Linux kernel 4.14 and QEMU v2.11). Note that if attribute managed is set to no (which is the default), it becomes the user's duty to unbind the PCI device from the respective device driver, and rebind to vfio-pci in the host prior to starting the guest. Once done and the guest is started, running the lspci command in the guest should show the PCI device, and one can proceed to configure it as needed. Theoretically, the PCI address in the guest can change between boots. However, the <zpci> element guarantees address persistence inside of the guest. The actual address of the passthrough device is based solely on the uid attribute: The uid becomes the PCI domain, all remaining values of the address (PCI bus, slot and function) are set to zero. Therefore, in this example, the PCI address in the guest would be 0001:00:00:0. Take note of the fid attribute, whose value is required to hotplug/hotunplug PCI devices within a guest. For further (rather technical) details see here and here (git commit). The qemu-edid utility has been added too. Main purpose is to allow testing the generator code without having to boot a guest for that, so typically the qemu-edid output is piped into the edid-decode utility to verify the generator works correctly. If you need an EDID blob for other reasons you might find this useful. EDID support has been added to the virtio-gpu protocol. The vfio mdev interface for vgpus got EDID support too. We also got EDID support in drm drivers for both qemu stdvga (bochs-drm.ko) and virtio-gpu. Support for EDID in virtio-gpu will be added, it is already merged in master branch. It is also turned off by default, use edid=on to enable it (simliar to stdvga). Support for EDID in vgpus (i.e. vfio-mdev) is planned too, patches are out for review right now. Note that the kernel's mdev driver must support that too. The qemu macos driver for the stdvga have been updated to support EDID. Intel is working on adding EDID support to gvt (the intel graphics mdev driver). Should land in the 5.1 or 5.2 linux kernel merge window. Once the EDID support got some real world testing it will be enabled by default for both stdvga and virtio-gpu. Unless something unexpected happens that will probably happen in qemu 4.1. As already mentioned above looking at HiDPI support (starting with the gtk UI probably) is something I plan to look at when I find some time. ramfb is a very simple framebuffer display device. It is intended to be configured by the firmware and used as boot framebuffer, until the guest OS loads a real GPU driver. The framebuffer memory is allocated from guest RAM and initialized using the firmware config interface (fw_cfg). edk2 (uefi firmware) has ramfb support. There also is a vgabios, which emulates vga text mode and renders it to the framebuffer. Most interesting use case for this is boot display support for vgpus. vfio has a not hot-pluggable variant, which allows to enable ramfb support: qemu -device vfio-pci-nohotplug,ramfb=on,... Once the guest OS has initialized the vgpu qemu will show the vgpu display. Otherwise the ramfb framebuffer is used. The firmware messages, boot loader menu and efifb/vesafb output all will show via ramfb. There also is a standalone device, mostly intended for testing: qemu -vga none -device ramfb. Even though it is possible to use ramfb as primary display it isn't a good idea to actually do that as this isn't very efficient. Each intern works with one or more mentors who support them in their project. Code is submitted according to QEMU’s normal development process, giving the intern experience in open source software development. Our projects range from device emulation to performance optimization to test infrastructure. If you are interested in contributing to QEMU through a paid 12-week internship from May to August 2019, take a look at our GSoC page and our Outreachy page for more information. Both GSoC and Outreachy have eligibility criteria, which you can review here (GSoC) and here (Outreachy) before applying. You can read about projects that were completed in 2018 here. These internships are generously funded by Google (GSoC) and Red Hat (Outreachy). A couple of times I already ran into the situation that I wanted to provide a small guest disk image to other people. For example, one time I wanted to provide a test application like LTP to colleagues via a server where I only had some limited disk quota available. Back then I was still able to resolve the problem by installing a stock Linux distribution together with the test software into a normal qcow2 image, and then to shrink the image with qemu-img convert and xz to approximately 500 MiB. But when I started to think about the QEMU advent calendar 2018, where I wanted to provide many small images for various different target architectures, it was clear to me that I needed a different approach. First the disk images needed to be much smaller due to network traffic constraints, and for many of “non-mainstream” target architectures (like MicroBlaze or Xtensa) you also can not easily get a standard Linux distribution that installs without problems on the machines that QEMU provides. Instead of using a pre-built Linux distribution, it would also be possible to cross-compile the kernel and user space programs and build a small disk image with that on your own. However, figuring out how to do that for multiple target architectures would have been very cumbersome and time consuming. So after doing some research, I finally discovered buildroot, which is an excellent framework for doing exactly what I wanted: It allows to create small disk images for non-x86 target CPUs, with all the magic about cross compiling and image creation wrapped into its internal scripts, and with a very flexible Kconfig-style configuration system on top. In the Toolchain section, you might need to enable other languages like C++ in case it is required for the application that you want to ship in the image. In the System Configuration section, change the System Banner to something that better suits your disk image. Check the Kernel section to see whether the right kernel settings are used here. The defaults should be fine most of the time, but in case you want to use a newer kernel version for example, or a different kernel config file, you can adjust it here. Note that you also should adjust the kernel header version in the Toolchain section if you change the kernel version here. Have a look at the Target packages section – maybe the application that you want to include is already available by the base buildroot system. In that case you can already enable it here. Check the Filesystem images section and decide which kind of image you want to ship later. For example, for most of the QEMU advent calendar images, I used a simple initrd only, so I unchecked the ext2/3/4 root filesystem here and used initial RAM filesystem linked into linux kernel instead. Now save your configuration, exit the config menu, and type make for a first test to see whether it produces a usable image. Note: Don’t use the -j parameter of make here, buildroot will figure that out on its own instead. You should see the kernel booting up, and if you have a look at the serial console, there is also a getty running where you can log in as root and look around. Then run make menuconfig and set the Root filesystem overlay directories option in the System Configuration section to the overlay folder that you have just created. Run make again and the next time you start your guest, you should see the new files in the image, e.g. also a getty running on the graphical console. Note: Do not try to add/change files directly in the output/target/ folder. That looks tempting first, but this is just a temporary folder used by the build system, which can be overwritten at any time and will be erased when you run make clean for example. If you need to tweak the kernel configuration, you can run make linux-menuconfig and do the appropriate changes there. For example, if you want to get keyboard input for the ppc64 pseries machine on the graphical console, you should enable the USB XHCI driver in the kernel, too. Once you are happy with the kernel configuration, save it, exit the menu and type make linux-rebuild && make. Note: To avoid that the kernel config gets reset after you run make clean at a later point in time, you should copy output/build/linux-*/.config to a safe location. Then run make menuconfig, change the Kernel -> Kernel configuration setting to Use a custom config file and set the Configuration file path to the copied file. If you want to add additional software to your image, you basically have to provide a Config.in file and a *.mk file. I recommend to have a look at the various packages in the package/ directory. Use one of the software from there with a similar build system as a template, and have a closer look at buildroot manual for details. Tweaking the build system of your software to properly cross-compile can be a little bit tricky some times, but most software that uses standard systems like autoconf should be fine. That’s it. You now should be able to package your software in really small VM images. Of course, there are still lots of other settings that you can tweak in the buildroot environment – if you need any of these just have a look at the good buildroot manual for more information. Julia Suvorova (Outreachy) and Steffen Görtz (GSoC) tackled adding emulation support for the micro:bit ARM board. Although QEMU already has plenty of ARM emulation code, the Cortex-M0 CPU used in the micro:bit was not yet implemented and the nRF51 system-on-chip was also missing. QEMU 3.1 already shipped the groundwork for the new qemu-system-arm -M microbit machine type. Enough functionality to run basic micro:bit programs is expected in the next QEMU release. This project was mentored by Jim Mussared, Joel Stanley, and Stefan Hajnoczi. Shubham Jain (GSoC) created a REST API for the Patchew continuous integration system that is at the heart of QEMU’s development process. The previous API was not RESTful and exposed database schema internals. The improvements to the REST API have been included into Patchew and are deployed on patchew.org. They are not in use yet, pending more work on authentication; this may be the topic of a future Summer of Code internship. This project was mentored by Paolo Bonzini and Fam Zheng. Emanuele Esposito (GSoC) enhanced QEMU’s test infrastructure with an engine that starts tests with all variants of devices that they are capable of driving. This is a complicated task in QEMU since certain devices and buses are available in an architecture-specific way on each emulation target, making it hard to write test cases without lots of hardcoded dependencies - and to keep them up-to-date! The qgraph framework that Emanuele created eliminates the need to hardcode each variant into the test. Emanuele also converted several existing tests. His framework was also presented at KVM Forum 2018 by Laurent Vivier and should be merged in 4.0. This project was mentored by Paolo Bonzini and Laurent Vivier. Nathan Gauër (GSoC) improved VirGL, which provides an OpenGL path well supported on Linux guests. On the host, QEMU offers several console back-ends, from EGL to SDL. Adding a Vulkan path will require to change the current VirGL API, write new guest drivers, and also offer a way to display the output. This is a huge task, which can be split in several sub-projects. Expending the current VirGL API to support Vulkan is the first step. This project was mentored by Marc-André Lureau. Stay tuned for 2019 internships! QEMU will apply to Google Summer of Code and Outreachy again in 2019. We hope to offer more great open source internship opportunities for new developers. Another new entry in our Knowledge Series explains CPU models and its relationship to live guest migration. SLES 12 SP4 is out! See the announcement and their release note with Z-specific changes. See previous blog entries on QEMU v2.10 and v2.11 for details on new features that become available by the QEMU package update. See previous blog entries on Linux kernel 4.8 and 4.11 for details on new features becoming available through the kernel update, e.g. nested virtualization support. An additional feature in this release is the availability of STHYI information in LPAR environments. Requires qclib v1.3 or later. See this blog post for general information on qclib. Furthermore, note that these changes provide a full CPU model, which provides protection against live guest migration compatibility troubles. E.g. migrating a guest exploiting the latest features to a KVM instance running on an earlier IBM Z machine lacking said feature would be detected an prevented. 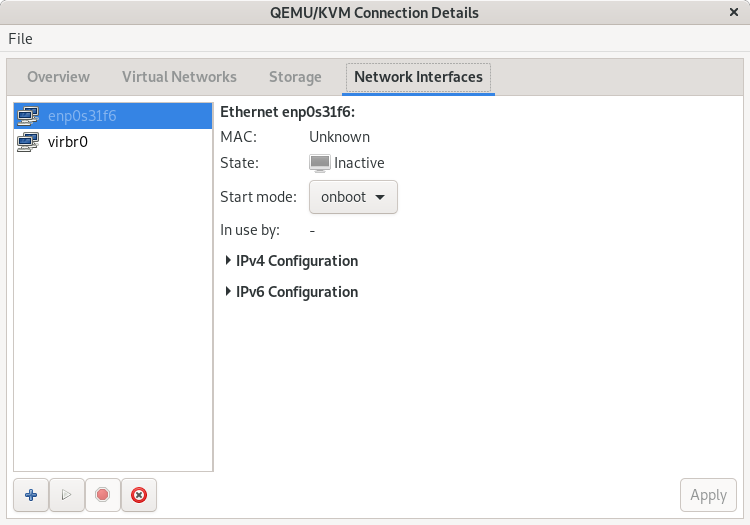 Note: With this feature, live guest migration back to a KVM instance that does not yet support CPU models (e.g. SLES 12 SP3) will not work anymore. KVM Forum 2018 took place October 24 - 26 in Edinburgh, Scotland. Better late than never, here are some of my notes and impressions. As always, there was a lot going on, and I could not attend everything that I would have found interesting. Fortunately, video recordings are available (see the page linked above, respectively the YouTube channel); here, I'd like to thank the folks organizing the logistics, recording the talks, and uploading nicely edited versions! This year, KVM Forum was again co-located with OSS Europe, and on the first day (which also featured the annual QEMU summit), talks were on a shared track. This meant an opportunity for people attending OSS to hear some KVM and virtualization related talks; unfortunately, it also meant that the room where the KVM Forum talks were held was very crowded. Nevertheless, it is always nice if a talk is interesting enough to attract a good number of people; I'm happy that my maintainership talk also attracted a nice audience. Other talks from the first day I enjoyed were Alex' talk about L1TF and Marc's talk about running huge libvirt installations. The second and third day featured some more comfortable rooms; organization-wise, I liked that talks about similar topics were grouped back-to-back. On these days, we had the keynotes for KVM, QEMU, and libvirt; as well as the contributor Q&A panel - some good questions from the audience there. Also check out Christian's talk about the various architectures supported by KVM and how much commonality is there (or not). Most of the time, days two and three were dual-track. Some of the topics covered were vfio and migration with vfio; nested virtualization; not-so-common architectures (including s390! ); testing and continuous integration. I find it hard to point out specific sessions and recommend browsing through the posted videos instead. Some topics were delved into more deeply in BOF sessions; myself, I attended the vfio migration BOF which gave me a couple of things to think about. Many BOF sessions subsequently posted summaries on the relevant mailing lists. One of the most important features of any conference is, of course, the hallway track: Meeting new people, seeing old acquaintances again, and impromptu discussions about a lot of different topics. I find that this is one of the most valuable experiences, both for putting a face to a name and for discussing things you did not event think about beforehand. SLES 12 SP3, released late last year, received a couple of mostly performance and security-related updates in support of IBM z14 and LinuxONE through the maintenance web updates. Transparent activation of new hardware features: This will enable a set of performance-oriented hardware facilities of z14 that do not require hypervisor changes. Starting today, on December 1st, the first door of the QEMU Advent Calendar 2018 can now be opened! The advent calendar reveals a new disk image for download on each of the first 24 days in December 2018, to create a fun experience for the QEMU community, to celebrate the 15th anniversary of QEMU, and to provide some good images for testing the various CPU targets of QEMU – this year it will contain way more images for non-x86 targets than before, so if you are interested in collecting test images for the various CPU targets of QEMU, be sure to check the calendar regularly! QEMU is now in the -rc phase for 3.1, with a release expected in early/mid December, and, as usual, this is a good time to summarize the s390x changes for that release. s390x now supports the 'max' cpu model as well (which somehow had been forgotten...) When using KVM, this behaves like the 'host' model; when using TCG, this is the 'qemu' model plus some additional, experimental features. Note that this is neither static nor migration-safe. Support for vfio-ap has been added. That allows to pass crypto cards on the AP bus to the guest. Support for this has been merged into the Linux kernel with 4.20. As this is a rather large feature, I plan to do a separate writeup for this. Support for the etoken facility (spectre mitigation) has been added. This, as well, needs a host kernel of version 4.19 or higher. Support for instruction flags and AFP registers has been added. The deprecated 's390-squash-mcss' option has been removed. And the usual fixes, cleanups and improvements. This year, we are celebrating the 15th anniversary of QEMU (QEMU 0.1 was announced in March 2003), and to contribute to this celebration, we will have another edition of the QEMU Advent Calendar this year. The new website for the advent calendar is now online at www.qemu-advent-calendar.org – but please do not try to open any of the doors before December 1st. We are also still looking for some images which we can present this year. If you would like to help, please have a look at the “QEMU Advent Calendar 2018 - Help wanted” mail that I have sent to the QEMU mailing lists. Fedora 28 was released last week, so here are the fresh Fedora 29 images for qemu. Some images use grub2 as bootloader, some use systemd-boot. The filename indicates which uses which. The x86_64 and i686 images can be booted with both uefi and bios firmware. The arm images come as grub2 variant only. systemd-boot doesn't support 32bit arm and crashes on 64bit arm. The images can also be booted as container, using systemd-nspawn --boot --image <file>, but you have to convert them to raw first as systemd-nspawn can't handle qcow2. The 32bit arm image (armhfp) isn't there because doesn't boot for me. Seems the fedora grub2-efi.armhfp package has trouble booting the kernel in qemu (with edk2 firmware). To be investigated if I find some time. Note: The fedora 28 image uses a custom grub2-efi.armhfp package as fedora didn't ship grub2-efi.armhfp in version 28. Ubuntu Server 18.10 is out! Support for IBM Z is available here. various tweaks you can do, like enabling double scan or split screen. The VGA has 256k of video memory and it is accessed using a memory window at 0xa0000. It is not possible to access all video memory at the same time, you have to set bank registers to map the piece of memory you want access into the window. All vga devices emulated by qemu support this. higher resolutions for 256 color modes. more colors (64k, 16 bit per pixel). even more colors (16M, 24 or 32 bit per pixel). linear framebuffer, so you can access all video memory at the same time, without having to bank-switch the video memory into the rather small window at 0xa0000. 2D acceleration (cirrus blitter for example). All SVGA devices in qemu (except cirrus) have support for the bochs display interface. That interface was implemented by the bochs emulator first (this is where the name comes from). It was implemented in qemu too. For the qemu standard vga it is the primary interface. qxl-vga, virtio-vga and vmsvga support the bochs dispi interface when they are in vga compatibility mode, which is typically the case at boot, before the guest os loads the native display driver. The bochs display interface is a paravirtual interface, with just the bare essentials to set video modes on a virtual display device. There are no registers for clock rate and other timing stuff for example. Traditionally the bochs display interface uses I/O ports 0x1ce (bochs register index) and 0x1cf (bochs register data), As both registers are 16bit the data registers is unaligned, which does not work on non-x86 archs, so 0x1d0 is supported as data port too. Everything but 32 bit true color modes is pretty much unused. The only exception is 16 bit true color modes which are still used sometimes in resource-constrained environments (raspberry pi for example). 2D acceleration is dead. It's either software rendering into a dumb framebuffer, or using the 3D engine for 2D rendering. text mode is used only with BIOS firmware, and even then only at boot (bootloader, vgacon until the kms driver loads). UEFI goes straight to graphics mode. Banked video memory access is dead. Text mode still uses the 0xa0000 window, but the text buffer is small enough that there is no bank switching needed. So, can we simplify things? Turns out: yes, we can. First step already happened in qemu 1.3. The qemu stdvga got a MMIO bar. The MMIO bar can be used as alternative way to access the vga registers and also the bochs dispi interface registers. OVMF (UEFI implementation for qemu) uses the MMIO bar. The bochs-drm.ko linux kms driver uses the MMIO bar too. In fact, both use the bochs display interface registers only, except for setting the unblank bit so the screen will not stay black. So, the guest code already ignores the vga emulation. Cool. We can build on that. No VGA compatibility. PCI class is display/other instead of display/vga. It has a stdvga-style MMIO bar. The vga registers are not available of course. Otherwise the register interface is identical to the stdvga though. Implemented from scratch, no code sharing with vga. Code size is an order of magnitude smaller when compared to vga. No I/O ports needed. You can plug it into an PCIe slot. So, all set for UEFI guests. You can switch from stdvga to bochs-display, and everything continues to work fine. But what about BIOS and text mode? Accessing the vga hardware directly for text mode is rare these days. Typically seabios and linux boot loaders call vgabios functions to render text on the display. So, we can hook in there and support text rendering without the hardware actually having text mode support. A very simliar approach is taken by sgabios, to redirect vga text output to the serial line. Luckily we are not the first ones facing that problem. coreboot can initialize the graphics hardware and setup a framebuffer with the native display resolution. Having to switch back to text mode when running seabios as coreboot payload is not exactly nice. So, there is a vgabios variant for coreboot which renders text to a framebuffer. So, take that, tweak the initialization code to program the bochs dispi interface instead of looking for a framebuffer setup by coreboot, and we are ready to go. Seabios boot messages show up on the bochs-display framebuffer. Yay! This will work out-of-the-box in qemu 3.1. The vgabios is already present in qemu 3.0, but due to a bug it is not installed by default, it must be copyed over manually to get things going. linux vgacon does not work due to direct vga hardware access. So you have to use vesafb or just live with not having early boot messages. Once bochs-drm.ko loads fbcon will be functional. The vgabios uses a fixed 1024x768 resolution and does not support switching modes after initialization. Reason is that the initialization code runs in big real mode, so accessing the mmio bar is easy then. That is not the case for vgabios function calls though. Resolutions smaller than 1024x768 are allowed by vgabios and will simply use the upper left corner of the display. That's it. Enjoy the new legacy-free display device.